Daughters of Miriam Center is approximately 1/4 mile down Hazel Street, on the left hand side. Take the entrance past the main building into the parking lot. 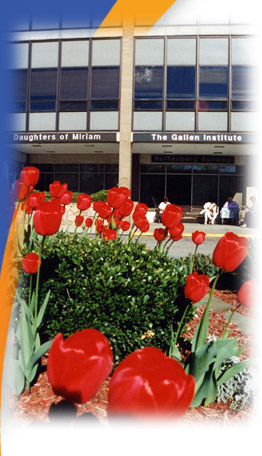 Daughters of Miriam Center is approximately ¼ mile down Hazel Street, on the left hand side. Take the entrance past the main building into the parking lot.